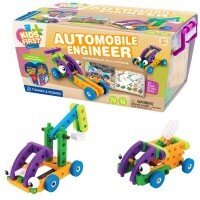 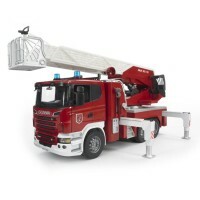 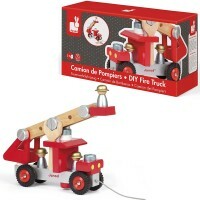 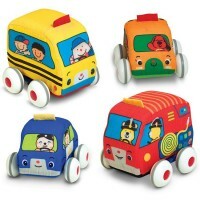 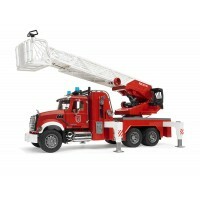 Get ready for lots of imaginative firefighting action with this cool Toy Fire Engine Truck by Small World Toys. 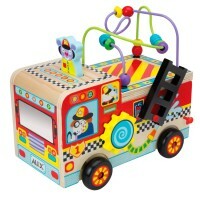 Get ready for lots of imaginative firefighting action with this cool Toy Fire Engine Truck by Small World Toys. 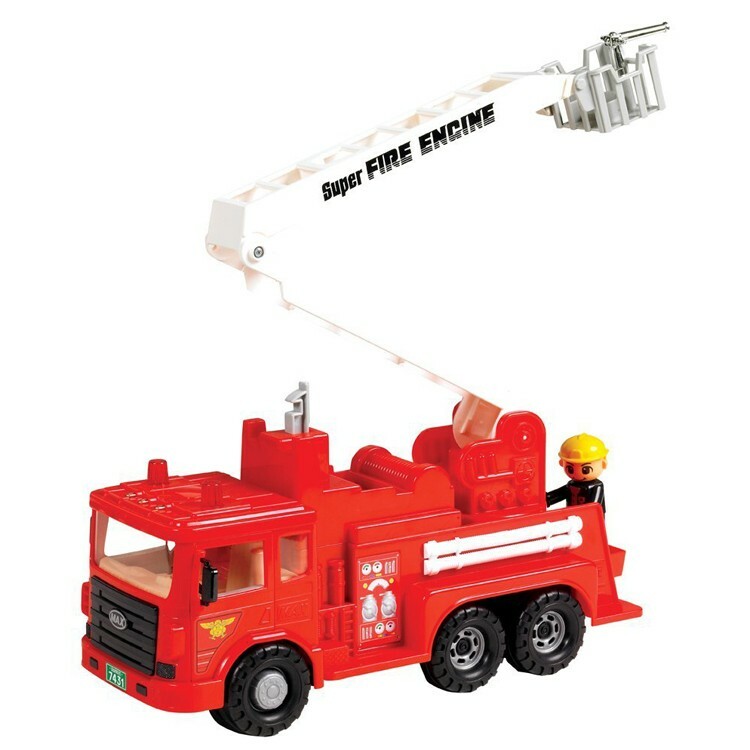 This kids fire engine features an extendable ladder, swiveling water nozzle, opening doors plus removable toy fireman figure. 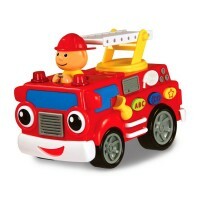 The Toy Fire Engine Truck will inspire your preschooler's pretend play, expand his vocabulary and enhance the hand/eye coordination. 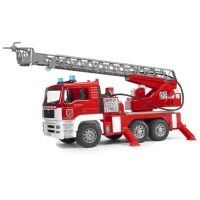 The Toy Fire Engine Truck from Educational Toys Planet measures 14 x 5 x 8 inches, just perfect size for any home or preschool play room. 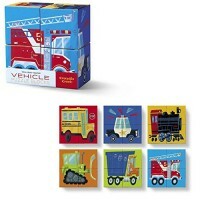 Let's play brave firemen with this bright pretend fire truck. 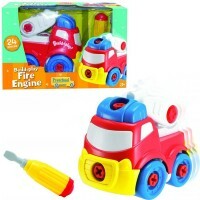 Write your own review of Toy Fire Engine Truck.